While Philippine singers and entertainers abound, few are at par with artist extraordinaire, Jun Polistico. After years of absence from the Australian scene, Jun Polistico returns to Australia and promises to entertain his audience better than ever. Jun will be performing in Sydney at the Marconi Club on September 22, 2018 and at Spring Vale Club in Melbourne on September 23, 2018. Polistico was born in Ormoc, Leyte and with his velvety tones he rose to fame in the 70s. He was the star attraction at the night club circuit in the Philippines – from Kudos, to Hilton, Philippine Village and many others. In 1975, he was the chosen entertainer for Ali-Frazier Fight, “Thrilla in Manila”. Later, he later joined the Society of Seven band in the USA, and sang his way up and down Las Vegas strip. He returned to the homeland and slipped right back as Philippines’ number one male vocalist in the country with hit songs, “Mahiwaga” and “Sana’y Walang Wakas” . He has also toured Australia numerous times between 1999 and 2001. What makes Jun Polistico a cut above the rest is his charm as an entertainer. As a performer, he simply oozes with emotions at every song he sings, each note caressing as he belts out classic ballads from yesteryears as well as some of today’s top hits. He continues to perform in hotels in the Philippines and was recently awarded the Lifetime Achievement award by the Philippine Entertainment industry ALIW Awards during their 40th anniversary. 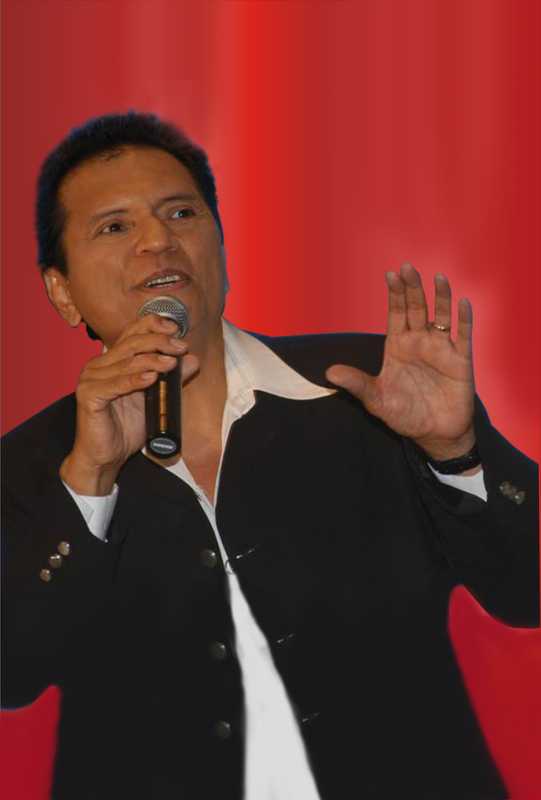 Singer, recording artist and entertainer Polistico continues to thrill audiences in the Philippines and around the globe. Jun Polistico is a rare breed of talent, undoubtedly the Philippines’ best. “I’m looking forward to signing for Filipinos in Sydney and Melbourne. It’ll be good to be back in Oz” said Jun. 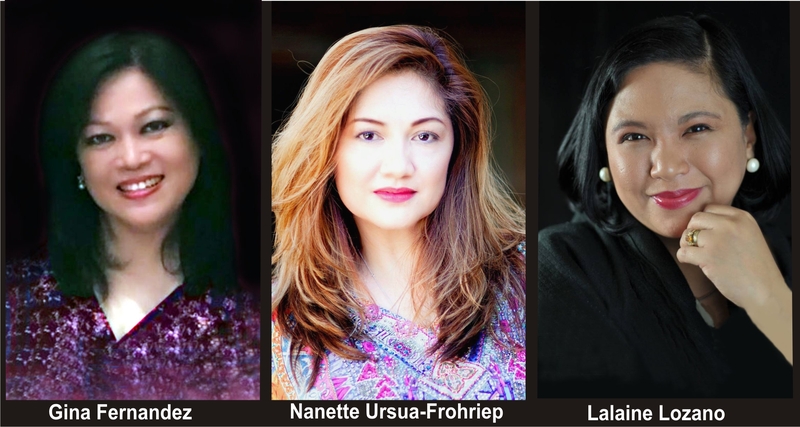 Performing with Jun Polistico on his Sydney show are three seasoned ladies of the entertainment industry – Gina Fernandez, Nanette Ursua-Frohriep and Lalaine Lozano. Soulful and versatile, GINA FERNANDEZ comes from a family of musicians and it’s inevitable that music has played a huge part in her life. Her Uncles and Aunties have performed with bands overseas and continue to do so here in Australia. She’s got the rhythm is in her veins. Despite her demanding career in the Travel and Social Services, music remains to be her passion and she finds time to squeeze in a few gigs every now and then. Aside from performing with her own bands (Soni’que and Gin & Tone’ic) she also is a “sessionista” – stepping in when needed for high profile bands such as New Horizons and M7. With her wide range of songs, she’s indeed a showbiz trooper. Vivacious and vibrant, NANETTE URSUA-FROHRIEP is a showbiz veteran who’s guaranteed to get the audience going. From Filipino community events, to the RSL club circuit to the Las Vegas strip, she’s done it all including headlining her own “Simply Nanette Show”. She has also performed to a packed audience in Queensland with Peter Cousens, the lead of Miss Saigon. A chance meeting with a Casino manager landed her an eight year stint in various Vegas’ casinos and hotels including The Mirage, Bellagio, Imperial Palace and the Luxor to name a few. She’s simply a powerhouse on stage as she belts out one song after another with dance moves to match. Sweet and mellow, LALAINE LOZANO was a mainstay of Manila’s top entertainment hotspots, The Shangrila Hotel prior to coming to Australia. With a knack of translating classic hits to Filipino, she became a singing and drama talent for SBS and ABC Radio and endeared herself to many Filipino radio listeners throughout Australia. Despite being a translator, she finds time to still perform and has done the rounds of clubs and hotels in Sydney, Canberra, Central Coast, Hunter Valley and has traveled as far as Darwin. She’s super charming and smooth, and continues to be a favourite guest singer for many multi-cultural weddings and corporate functions. Gina, Nanette and Lalaine are akin to the stage and simply warm to the spotlight. These ladies are classy and absolutely sassy! They’re backed with years of entertainment experience. Music stirs their souls! Although the ladies share their love of music, each one has an individual style that’s distinctively their own. They will undoubtedly be rocking at Marconi Club when they headline for the Jun Polistico Show on September 22, 2018. Reserve your seats early. .For tickets reservations phone 0416 269 270 l 0402 354 853 l 0412 966 300 l 0434 516 734. Tickets are also available at Pinoy Ticketek (www.ticket.com.au) or at Zignal Travels office at Main Street Arcade, Blacktown.